The popularity, and success, of online fundraising platforms have brought more and more people and agencies into competition for the public’s support. This has given rise to the need to come up with new ways of getting people’s attention to get them to give. The standard fundraisers of chocolate bars and t-shirts just often aren’t enough to get the job done. Some of the world’s strangest fundraising ideas have proven to be successful, not because they are shockingly odd, but because they understand the demographic of their potential donors and address it with a sense of playful irony. While Justin Bieber may have hoards of pre-teen fans that would gladly listen to his song “Baby” over and over, there are quite a few people in the world who would rather pay to shut it off. That was the thinking behind Jesse Chat and Charlotte Runzel’s idea to raise money for the charity, BooCoo, in the Evanstown Township High School in Illinois. BooCoo is a local cultural center and café, something that the Beliebers most likely don’t frequent. Their goal was to raise $1,000. So they got permission from the high school to play Bieber’s song “Baby” nonstop in the cafeteria until the students, most of whom had outgrown the Biebs, ponied up the cash to turn it off. Not surprisingly, they reached their goal in just two days. Not exactly the technique you would find at Signature Fundraising. This holiday fundraiser worked on the simple premise that if you could honestly give people what they really want, they would give you what you really need. When the Admiral Theater in Chicago launched its annual holiday drive for toys to distribute to local churches and shelters, it decided to forgo the usual holiday baskets and raffles as encourage meant. Instead, they went for the one thing they knew would bring people, especially men, in with a donation. They promised one lap dance from local strippers who donated their time for every new and unwrapped toy donated. That year, Christmas was a time of great joy for many in need. One of the all-time popular and successful fundraising events is the dunking machine. These are the machines at local fairs where someone sits in a chair, suspended over a tank of water, and participants pay for the chance to throw an apple or ball at a target to dunk them in. The fundraisers are most successful when the person in the chair is someone in authority who may not be that popular, or at least is a common cause of frustration. Sheriff Leon Lott of Richland County updated the idea and took it to a whole new level. He held an auction for the right to tase him, to the tune of a $1000 a second. The winning bid got a chance to tase the Sheriff for a full two minutes. All the money went to the Sheriff’s Foundation to support scholarships and other youth events. It’ really great ideas about fundraising, i like this. 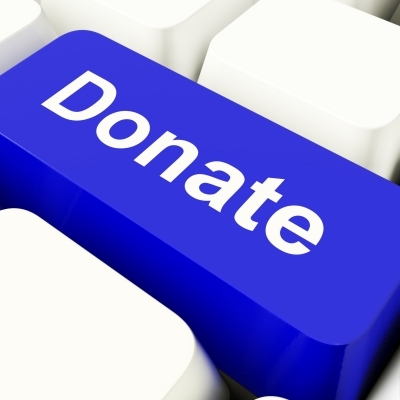 I have make one website ti donate for charities or churches. keep proving online fundraising ideas and tithing ideas. I agreed with you, I’m also give only that peoples who have actually want. That’s really a nice idea.